Online purchasing now and again changes in recognition of the item got. 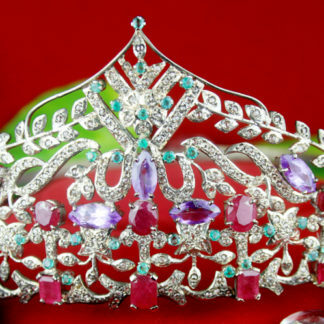 We at costozon (Diamond Tiara Crown) Understands and regards the money paid to your Satisfaction. Your fulfillment as a purchaser is of furthest significance to us. *We offer 30 Days Money back on the entirety of our Products under 50,000 INR. We offer the full return in the case that you don’t like the item. The article must be returned back without taking out the security tag in a unique condition. How to Claim and Get Refund? · Simply dispatch article back to us. costozon (Diamond Tiara Crown) manufacture the relationship of trust and Quality with your Purchase and Our Easy Money Back.